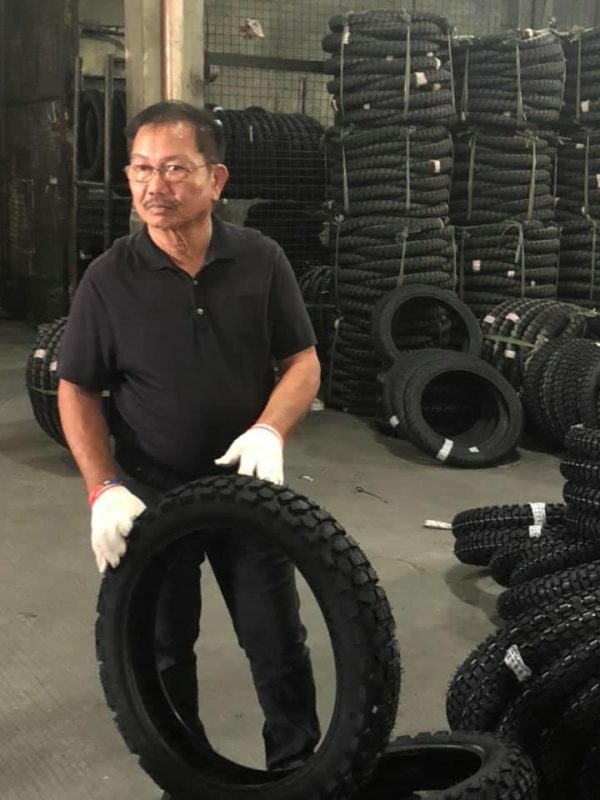 As part of the government’s effort to stabilize and even increase the buying price of local rubber produced by farmers in the country, Pilipinas Agila Tires, the first locally manufactured motorcycle tire brand that uses 100 percent local rubber bought from Filipino farmers, is set to be released into the market. To pave the way for its commercial distribution, the DA and the Department of Trade and Industry will be jointly launching the local motorcycle tire brand on April 26. Department of Agriculture (DA) Secretary Manny Piñol said that motorcycle tire dealers from all over the country will be invited to join the launching and to support the country’s farmer by promoting the Pilipinas Agila motorcycle tires. A nationwide marketing program for the tire brand will start after the launching. Furthermore, as much as 10,000 pieces of the locally-manufactured motorcycle tires will be up for sale for two weeks and will be sold at P700 a piece. According to the DA, this price is slightly lower than the price of existing motorcycle tire brands which are sold from P800 to P1,200 per piece. Also during the launching program, the DA will also award the outstanding farmers and fishermen, as well as their cooperatives and associations who have paid 91 percent of their loans from the agency’s Agricultural Credit Policy Council (ACPC). 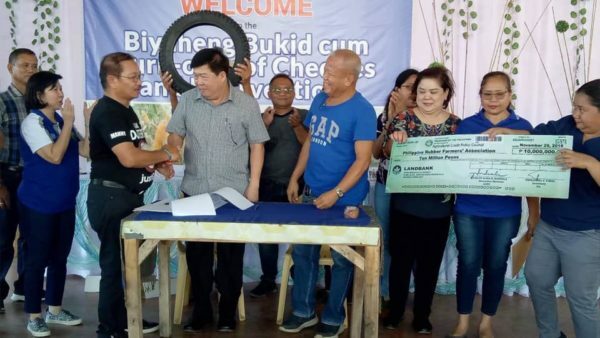 Receiving a P10 million loan from the ACPC, the Philippine Rubber Farmers’ Cooperative (PRFC) started its tire manufacturing business that gave birth to the Pilipinas Agila Tires. The farmers’ cooperative group was organized by the DA two years ago as part of its program of elevating farmers into the level of processors. The said loan, payable in eight years at two percent interest per annum, was used to buy the rubber cup lumps produced by its members and other rubber farmers. These rubber cup lumps were formed into semi-processed rubber cubes called SPR-20. Afterward, these rubber cubes were sent to Leo Tire Manufacturing in Valenzuela initially processed it into motorcycle tires. In the coming days, small tractor and multi-cab tires will also be manufactured from the locally-produced rubber.